Eelpower Ltd, the UK energy storage and services company, has appointed Tom Peacock as Development Director. Tom was formerly Property Director of MRH, the country’s leading independent service station owner/operator. 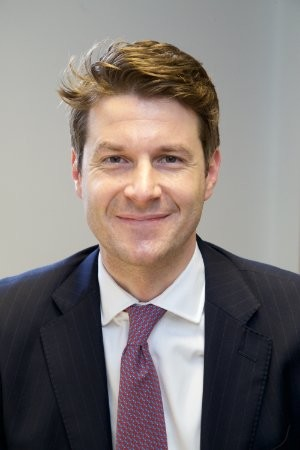 He has also held roles at Canfield House, a property investment company, and Arcadis, a European business consultancy with extensive involvement in the energy and environment sectors. Tom joins the Eelpower senior management team that includes Stephen Partridge-Hicks (Chairman), Mark Simon (Chief Executive) and Magdalena Markiewicz (Chief Financial Officer). Tom will be leading the development of the company’s pipeline of permitted storage sites and the company’s pursuit of new storage development opportunities in the UK. The company currently operates six-grid connected sites totalling 34MW, with a further 38MW in construction and a pipeline of 860MW. Since July 2018, Eelpower assets have provided around 40% of the non-EFR battery-sourced frequency response services in the UK.